New studio album from one of the most consistent Finnish power metal bands. Sonata Arctica has always been one of my favorite Finnish bands. It reminds me of those times when I was just a teenager and listened to Stratovarius and Gamma Ray, when I started to go to live gigs and everything was new. So because of that, I feel even more disappointed with their new work. I cannot say it otherway: the album is boring. 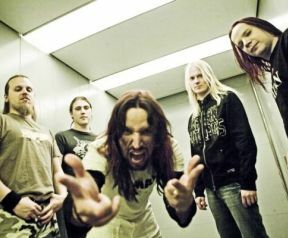 Maybe it is the change with guitarist Elias Viljanen replacing Jani Litmatainen, maybe it is that the new experimentation with the vocals of Tony Kakko does not work out as it should be, but the point is that the album is much slower, darker, and with lack of spark than previous ones. Apart from a few tracks like As if The World Wasn´t Ending, I found just an average slow metal album that any other rookie band would have released. But at this stage, you would expect more from the Finnish fellas. I hope they find their way back into track soon.